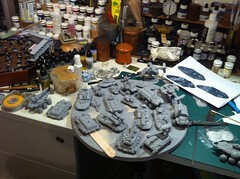 Lots of 15mm GZG tanks and vehicles on the workbench. 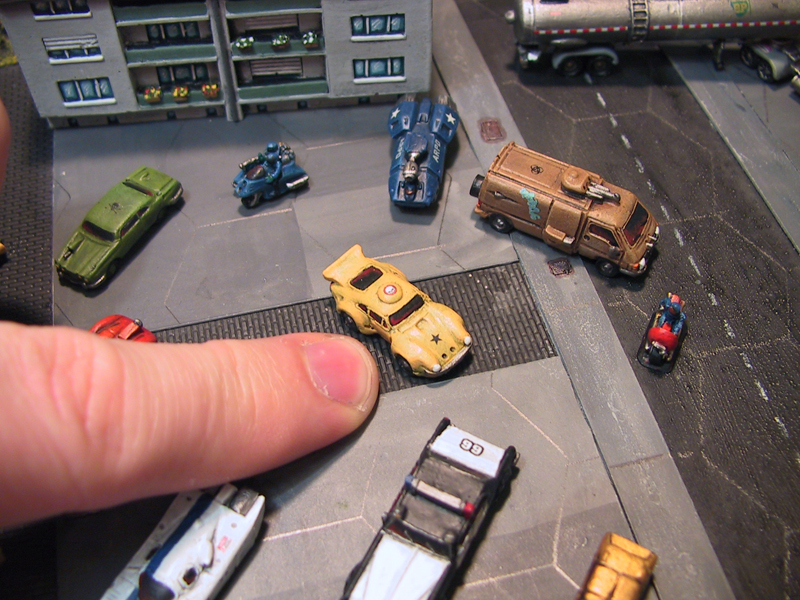 This is most of the collection picked up at Colours Wargames show. Every model here is metal and most are two part hull with a separate turret. The wheeled vehicles are many more parts with each wheel being a hub and wheel section that needs cleaning up and glueing. 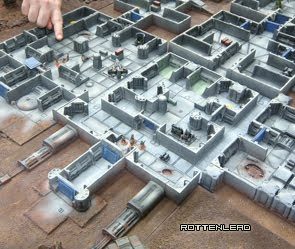 Some of the latest 15mm SCI-FI Miniatures are stunning and a pleasure to paint. All model components were sanded, filed and cleaned up before being washed in hot soapy water. I then got high on super glue from a lot of careful connecting of parts. Always score large flat areas with a knife before gluing, they really won't come apart again if you have scored the metal on both parts due to be glued. 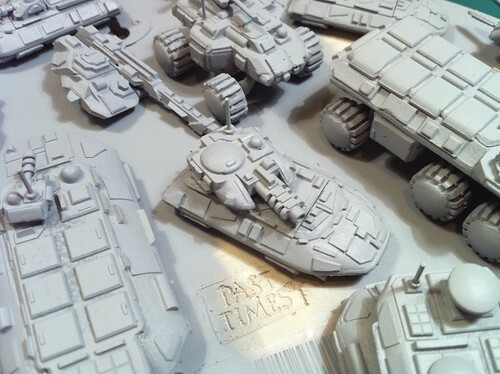 Tamiya model primer was then used to spray all the models grey and ready to be airbrushed. Nice shots of those Kra'Vak tanks. What colors did you use for the cammo job? They sure look great! Ups forgot... Did you prime the Kra'Vak vehicles grey like the rest ? 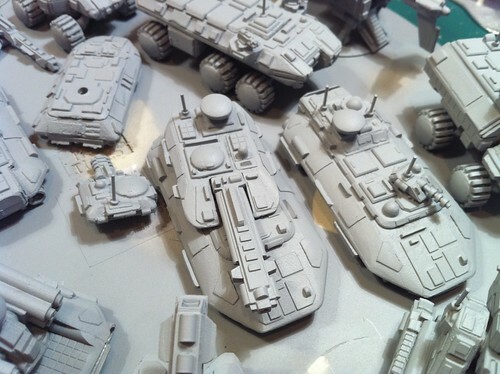 I have three Kra'Vak heavy tanks, three apc's and three Skimmers ready for assembly. There are some parts there. Excellent site. You're painting has convinced me to get an airbrush and compressor to use on my armour and buildings. What model/brand do you use? or are their any you can recommend? @Mark: Dark Green with Duck Egg Green (Both from Vallejo Model Air Range) The Duck egg is mixed into the Dark green for the highlight (rather than neat). @JDM: Info Here: http://www.gruntz.biz/2010/06/new-airbrush-compressor.html Don't know the brand of the Compressor, it was a generic one from Hobby Craft in the UK (Made in China :). Very nice stuff as usual - ah yes, feeling the compressor love. My recently emigrated to Oz mate has one somewhere - just need to 'borrow' it from him... he said I could honest! Out of interest - what did you use for the aerials?